Due to shipping cost, these are sold MINIMUM of 3 Bobbins of a single color. 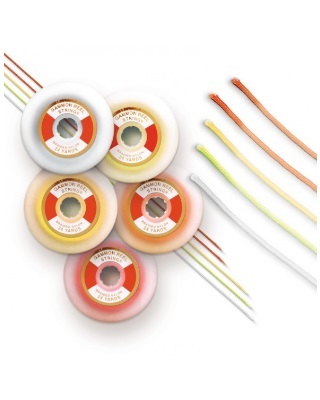 The SitePro Gammagnet Replacement String is 24 yards of braided nylon string that is stronger and more economical than ordinary linen or twisted nylon string. The plastic bobbin keeps string clean and handy. This is the OEM Replacement String for Gammon Reels.